As the complexity and specialization in the organizations are increasing day by day, the problem of allocating the limited available resources to the various activities in an effective and efficient way is becoming more and more difficult. In order to solve these kinds of problems by using scientific approach , Operations Research was emerged. It came into existence way back in world War II, when the British and then U.S. military management appointed a team of scientists from various discipline , to deal with the problem of allocating scarce resources to various military operations and to the activities within each operation in an effective manner. Operations Research or Operational Research means “Research on Operations”. It is an interdisciplinary subject which helps in making decisions. Mathematical modeling is the essence of Operational Research. Irrespective of the nature of organization, O.R. is applied extensively in diverse areas as manufacturing, transportation, construction, telecommunication, financial planning , health care, military and public services to name a few . World over many companies (IBM, AMR Corp. parent company of American Airlines, Proctor & Gamble, Hewlett Packard Corp., Merrill Lynch and Company, Taco Bell Corp., British Airways) are making extensive use of Operational Research techniques and have dedicated OR groups working for them. In India too, many companies like TISCO, Reliance Petrochemicals, JK Tyres, Hindustan Levers Limited, Asian Paints, GE Capital, Inductis, Progeon, Skytech Solutions etc. are applying OR for increasing their productivity gains. Operations Research is widely used in IT industry also like in software reliability etc. OR techniques in the form of software like DSS(decision support system), Online analytic Processing (OLAP), ERP is also used in industries. OR techniques like AHP, mathematical programming, decision analysis etc are used by engineers also in design & testing. Operations Research students have good career opportunities in Data Analytics field also. University of Delhi introduced a two year post graduate programme in Operational Research in 1963. An Independent Department of Operational Research was set up under Faculty of Mathematical Sciences (consisting of Department of mathematics, computer science and statistics) in the University. Other than M.A./M.Sc in Operational Research course which was running in the north campus, the department started Applied Operational Research (a two year post graduate programme ) in South Campus of University of Delhi in the year 1994. The Department also offers M.Phil & Doctorate program. Mathematical Programming (Linear & nonlinear Programming ) , Inventory Management, Supply Chain Management & Logistics, Marketing management, Financial Management, Network Analysis, CPM & PERT, Project Management, Queuing Theory, Reliability Theory, Forecasting, Simulation, Game Theory , Statistical Quality Control etc. are some of the topics which are taught in the course of Operational Research. An Undergraduate Program in Operational Research by the name of course as B. Sc. (G) Mathematical Sciences was started by the University in 1996 in which Operational Research was taught as one of the main subject other than Mathematics and Computer Science where each of three subjects were having total 6 papers in a three year course. DDUC (Deen Dayal Upadhyaya College) of University of Delhi started this course in the year 2001. In addition to acquiring skills in formal techniques of OR, students are made to learn to apply theories and concepts in a creative and practical way. Project presentation and making a case study report based on the analysis and solution of any real life problem is a part of the curriculum. Students are required to give power point presentation of the case study and are made to use computer and O.R. software extensively in their work. The Operational Research Society named “Optizone” of Department of Operational Research ,DDUC was created in the college in academic session 2012-2013 to provide students an opportunity to have interaction with eminent academicians, researchers and real life practitioners in the industry and to organize conferences, workshops, seminars etc for the growth in the knowledge of students so that they can learn something beyond their course curriculum. In the past the society organized a no. of students activities like Quiz, computer games, Be an analyst etc. and workshop, seminar, lectures on the topics like-- Neural Marketing, Business Intelligence, Data to Big Data-a paradigm Shift, Marketing Analytics, Predictive Analytics, Data Analytics Using SAS, Online Marketing, Business Analytics, An Overview of CAT modeling fundamentals coupled with Risk Analytics, Mathematical Modeling an art of problem solving, Customer Analytics etc. Optizone, society of Department of Operational Research, took initiatives to organise various activities and lectures. Diwali celebrations were undertaken with specially advantaged children at “Blind Persons Association” on October 14, 2017. An amount of 9750 INR was collected of which 7900 INR was donated in cash to the organisation. Rest was used in sweets and other eatables. A very competitive ANTAKSHAREE was played between the students of Mathematical Science and BPA. One day Faculty Development Program for analyzing the real life situations under uncertainty & making decision using @Risk and Eviews softwares was conducted on September 13, 2017 by Prof. Pankaj Sinha, Faculty of Management Sciences (FMS), University of Delhi. All participants got hands-on working experience to quantitatively analyse various possible outcomes of problems under uncertainty and thus to make optimal decision. Two days Inter-College Annual festival, OPTIMO-2018 was organised on February 20-21, 2018 comprising of six events. The fest received sponsors from “Trip Travia”, “INGLU”, “the Souled Store”, “Edu+”, “The Education TREE”, “Daddy’s Gift Gallery”, “Yumnistan”. On 8thNovember, 2016, the members planned a SMILE event as part of social responsibility. The Society executives collected the donation from its members and organized a children's day celebration in ―Handicap Children Rehabilitation Association (HCRA) PashchimVihar, Delhi, which is run by an NGO for Handicapped children. A kids' talent showcase round was scheduled. In this the kids danced, told stories, and presented their crafted items. All students took a pledge on Diwali festival that they will not burst crackers this time. The message was "No crackers instead help the disadvantaged children and bring smiles on their faces". A one day workshop on ―HR Analytics‖ was organized on 21st January, 2017. Sixty six students registered for the workshop. 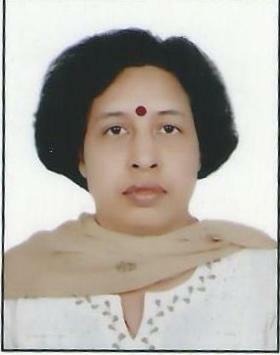 Ms. Sudipta Karkun, Group Manager in HR conducted the workshop. The workshop was organizedto explore the latest developments in the analytical skills used by HR people to attract, manage and retain highly skilled & talented people in their organizations. 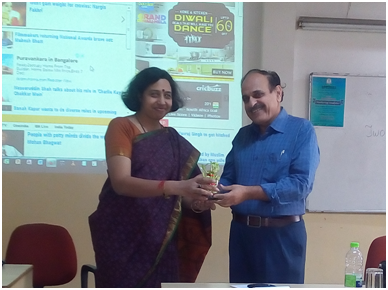 To explore how analytics is done in Finance, its various tools, techniques and applications, the seminar on ―Financial Analytics‖ was organized by the society on 11th April, 2017. Puja Sethi, Assistant Vice President, Barclays Shared Services, delivered a talk entitled―Credit card product life cycle‖ and Ms. Komal Preet, Sr. Engagement Manager, Axtria, a US based consulting firm delivered a talk entitled ―Marketing Analytics in Banking and Alternative Data Sources‖. A talk on ―Actuarial Science: Measuring and Managing of Risk‖ was organized on 29th April, 2017. Actuation, Propelling Minds conducted a talk to enlighten the students about the career in Actuarial Science. The society began its activities with a half day Seminar On “Business Intelligence”conducted by the representatives of IBS Business School , Gurgaon on August20, 2015 in which about 70-80 students participated. Another two days seminar was organizedon “Predictive Analytics” during August, 2015with sixtyfive participants. 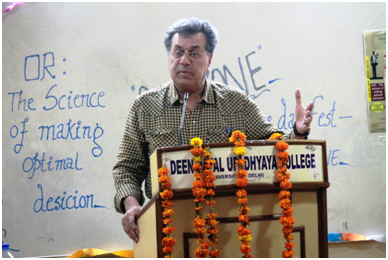 Mr. Pratipal Singh Kalra, member Governing Body inaugurated the seminar. Some of the eminent speakers Mr. Rajbir Singh (founder of " Value Centria Consulting Services, Delhi) and Dr. H.K.Dangi from FMS, DU:and a team from School of Computer and Systems Sciences, JNU:Prof. R.K.Aggarwal, Dr. T.V.Vijay Kumar,and Prof. Subramaniam BalaSundram addressed the participants. Mr. Ajay Ohri, Founder of "DecisionStats ", who has written two books , one on business analytics and other is on Big data Analytics alongwith Mr. Aviral Mathur, Working as Manager in "Absolute Data Research and Analytics" also presented their views. 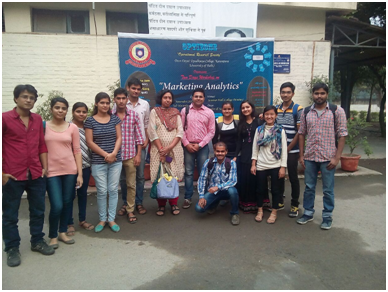 Next event was a two day workshop on “Marketing Analytics”which organized on 6th & 7th November, 2015 both were organized at University level for Undergraduate, postgraduate students and research Scholars. A total of 35 studentsparticipated. Mr. Ashok Kr. 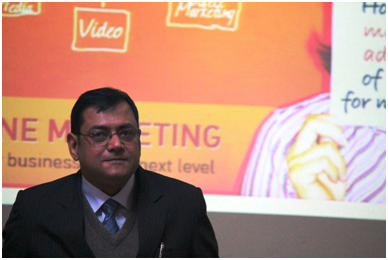 Hansal from "Fore School of Management", Dr. H.K.Dangi from FMS, Mr Rajat Goel from Statworld Ltd were the main speakers. The society also conducted a faculty development program in collaboration with IBS business school, Gurgaon on April 13, 2015 by the faculty members of IBS on “Professional Perspective of Finance in Cotemporary World”. This year , society took the initiative to apprise the students of the lucrative job career opportunities in 21st century in the field of “data analytics” & “big data analytics”. On 23rd August, 2014 a one day seminar on “Business analytics” was organized by Mr. Gagan Gandhi, Consultant, Trans Org Solutions Pvt Ltd, & Prof. P.K. Kapur, Amity international Business School,Amity University. They conducted two sessions of three hours each on case studies related to business problems and their solutions using SPSS. A One day Training program in “ Data Analytics Using SAS” was organized on 24th January, 2015 by Dr Prabhat Mittal, University of Delhi which covered Programming of Descriptive statistics, correlation, regression and some part of data mining. It was followed by a problem solving session. 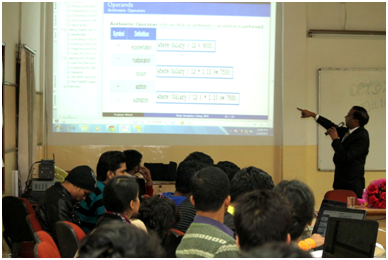 A very informative talk on “Data to Big Data - a Paradigm Shift” by Dr T.V.Vijay Kumar ,Department of Computer & System Sciences, Jawahar Lal Nehru University, Delhi was organized on 6th February, 2015 to make students aware of “What is Big Data”, How it came into existence, what are the different issues related to it. He explained the concepts of data structure, earlier traditional way of dealing with the data, collection, various devices used to collect data, collection of data from social networking sites, collection of structured, semi-structured, unstructured data and the rate and speed of collection of data. Concepts like Data Warehouse, Data Marts, Data mining, Data streaming, OLAP etc was explained very well. Students got a chance to enhance their knowledge from his valuable talk.